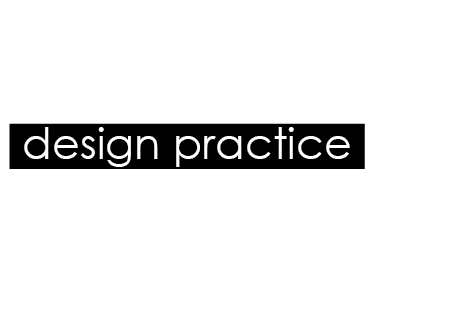 Design practice: Lateral thinking workshop aka brain ache..
Lateral thinking workshop aka brain ache.. The workshop today was designed to get our brains thinking outside of the box in terms of the brief Good is..
We were told to write our 'good is' and then pick it to pieces using questions that Fred posed. Good is: The mathematical values of polka dots. Q1: What makes it good? - It's a chance to learn how polka dot patterns are made. - It's useful if you need to design a dotted pattern. - It's nitty gritty details, which are always interesting. - It's good because its not something everyone knows. - It's good for your brain as there is maths and thinking involved. Q2: Who would find it good? - Polka dot lovers: Pretty self explanatory, polka dot lovers will want anything to do with polka dots. - Maths geeks: Any chance to do a bit of maths and im sure they'd be up for it. - Perfectionists (designers): Perfectionists look and take care of details, this is all about the details behind the polka dot pattern. - Fashionistas: Fashionistas look at the sizes of dots and how they work with the shapes of bodys to make a garment that works. - Guys looking to pull: Lorenzo told me he had a polka dot shirt and used to get a lot of attention from the ladies when he wore it. If his polka dot pattern was immaculate then he'd be sorted! Q3: Who wouldn't find it good? - Stripe lovers: Spots vs stripes! - Maths haters: If maths makes your brain ache then steer well clear. - Those who dont care for details: It's all in the detail, so if your not into detail then dont get into this. - Non creatives aka business men/ bankers/ boring individuals: If your not creative you wouldnt even think there was a formulae to polka dot patterns, no point trying to tell you now! - Anyone under the age of 10, as they wouldnt have studied circle circumferences yet at school! They just wouldnt get it, simple. Q4: What is it better than and why? - Plain, because plain is boring, you cant work out plain. - Stripes, stripes are boring, whats exciting about straight lines? - Any other pattern, polka dots have been used in design/fashion for years, they are influencial and can be seen on things from fish to shirts. - The mathematics of squares, squares are just made of four straight lines, a circle is never ending. It will last forever which means it must be good! - Algebra, in fact they should scrap algebra at school and study polka dots, x+yxb= WTF?! Q5: If your good was a proffession what would it be? - Interior designer: Interior designers make environments look amazing, they create an atmosphere and have to pay attention to a lot of details in order to create the right mood. - A teacher: Learning something new is never a bad thing, whether or not you ever find it useful. - Personal shopper: Personal shoppers are trained to know what looks good on what sort of person. There are so many different ways of laying out a polka dot pattern, one to suite every sort of person. - Radio presenter: Radio presenters are invisible to the eye but you know they are there, much like the maths behind the polka dot, its not something that is obvious but you know it must be there in order for the pattern to work. - Mathematician: Mathematicians are always thought to be geeks simply because they are so clever and appreciate how things work. Some people will find the maths of polka dots boring but its an essential part of the existence of the pattern itself! Q6: If your good was a celebrity who would it be? - Sir Albert Einstein: Sir Einstein was a genius and he loved finding out things. - Marilyn Monroe: Marilyn Monroe always looked so perfect on the outside, but in the inside she had a much more complex story. - Roy litchenstein: Roy is an artist who used polka dot patterns within his work and look how famous he is. - Mr Blobby: Mr Blobby is a funny old character, everyone loves him, even though we're not really sure what he is. Maybe if we got the time to know him we would appreciate him more. - Tom Hanks: Tom is my favourite actor, he's like the polka dot when it comes to talents. Tom has played so many different parts in films like Woody in Toy Story to a warden in The Green Mile. The polka dot can be used in a wide variety of contexts and thats what makes it so good! Q7: If your good was an event what would it be? - Maths quiz: Maths quizes can be boring but at the same time exciting, im fairly competative so I would try to win. It reminds me of playing around the world at school, which is a maths quiz where you have to be on the ball! - 1930's war time dance: Even during war, the generation would still go out and have fun, this is like the maths of polka dots. Serious stuff but theres still room for fun! Q8: If your good was a place where would it be? - A london fashion boutique. - An old Irish pub. Q9: If your good was a product what would it be? - A silky designer shirt: Designer clothing has to be perfect as its worth a fortune. Polka dot knowledge is priceless and without them there would be no polka dotted silky shirts for men to pull in. - A bouncy castle: Bouncy castles use maths to determine the amount of air needed in its surface area to make sure its bouncy and fun! The polka dot has to be done properly to make people happy. - A boiled egg: If a boiled egg is not timed properly its an epic fail, it might sound simple to make but there is a nack to it. Q10: Why is it good? - If the designers of Polka dot patterns didnt know the maths behind circles or a pattern, they would simply not be able to make it. A polka dot pattern is most commonly defined by having continuity with the sizes of dots. - It's always good to learn something new, whether or not its relevant to you/someone else. Knowing something like this could one day win you the pub quiz! - Even if you dont like Polka dots, a teacher could use it as a maths question/ example in their classes, you have to use your brain which is good for keeping it healthy. - Polka dots are known to be a fun and flamboyant pattern, if it teaches someone how to make their own polka dot design and stand out from the croud, surely thats a good thing! - It's something different, I could have gone down the route of just looking at fashion but that was too obvious and easy. This is a challenging subject to work with and I think its good that im challenging myself! Design for print: Good is..